Since 2006, Matter of Trust has been the fiscal agent for this innovative solar-power-promoting and clean energy. 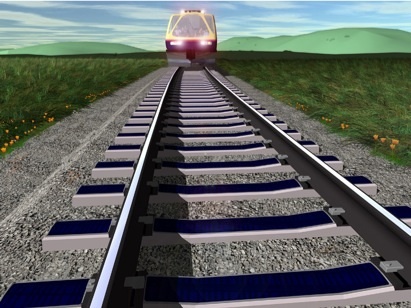 In partnership with David Vasquez, author of Sun Train © 2011, this is a long-term collaborative project that involves gathering several experts and researching benefits of solar power, train systems, installation of solar panels on rails, and incorporating energy storage with hydrogen fuel cells. This study is also in combination with our Zen Train proposal, where we researched the possibility of having gym cars on commuter trains so that passengers could use their commute hours to exercise on stationary bikes. David Vasquez is also the animation expert for California High-Speed Rail project and put together our exhibits are on 1) Solar Power and 2) A viable future for railway public transportation in the US.